A night out with friends and good food is the best thing ever! Italians are quite opinionated about their food. 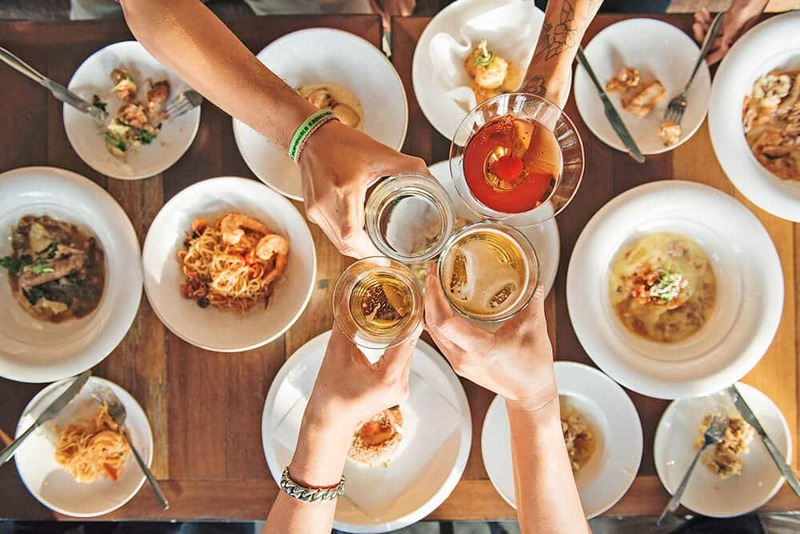 Eating well is important to us and with all the tv shows telling food facts in Italy, we definitely know a lot about choosing the right ingredients, knowing where to eat and what. Our Country has an incredible variety of regional recipes and local foods. 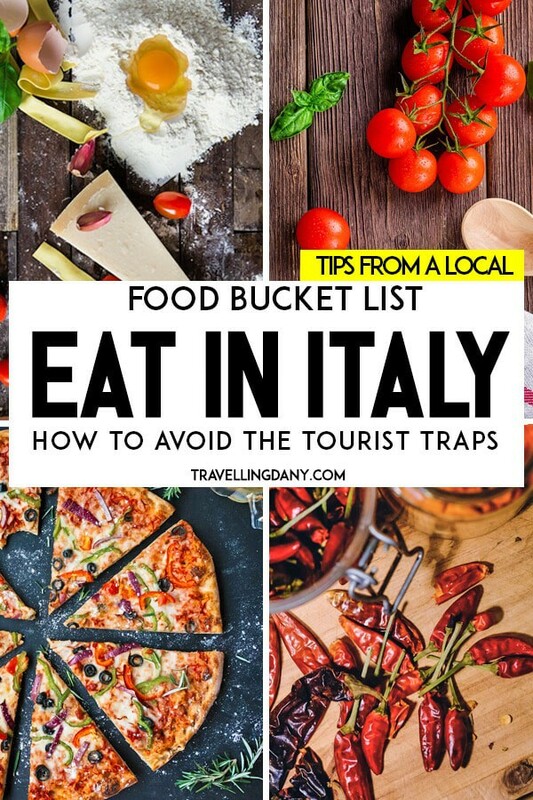 Eating in Italy is one of the most amazing experience ever: if you’ve ever wanted to try a foodie trip, you should definitely start here. 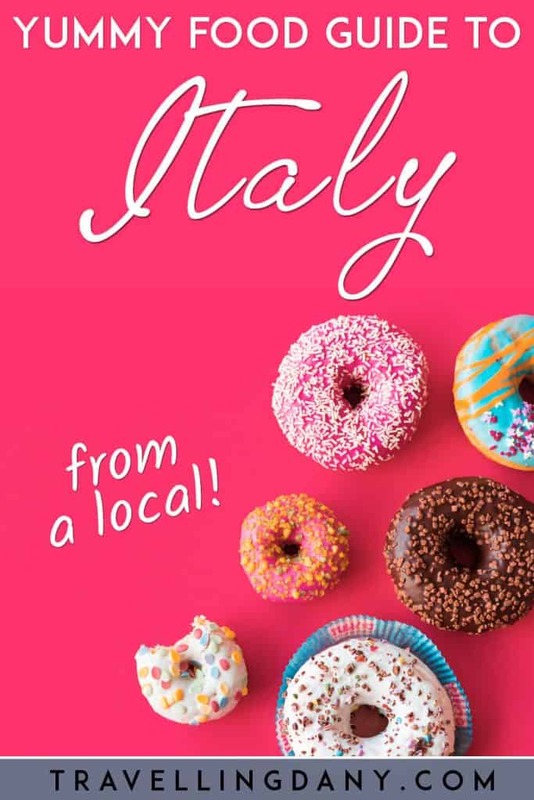 Let me offer you a taste of Italy, showing you not only the most famous Italian dishes, but also the specific regions of origin so you can plan the perfect trip to Italy. I even have a handy guide to tipping in Italy, with Italian sentences you can use. 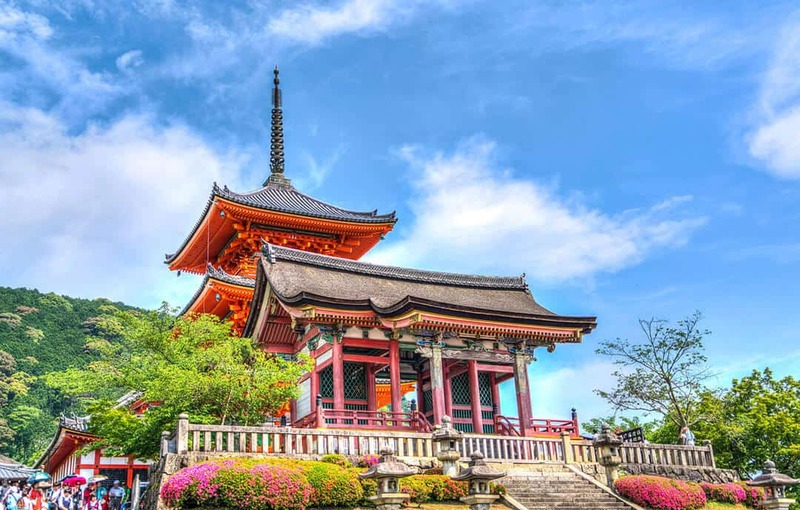 This knowledge will also help you to avoid the tourist traps that might spoil your foodie exploration of our Country. 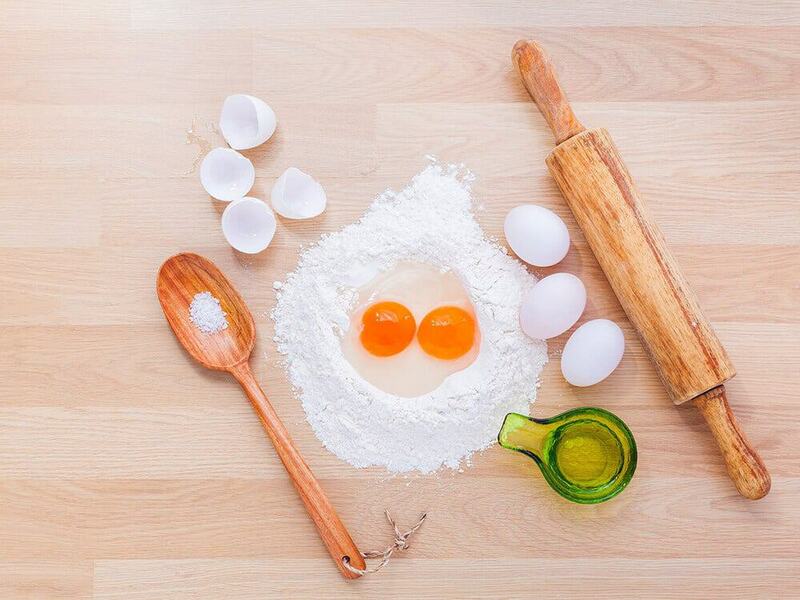 Come on, let’s get ready for an Italian food tour! Excuse me but I really am biased. I couldn’t start my tour of the best food in Italy if not with… my beloved pizza from Naples! There’s nothing better than walking down the narrow “vicoli” in Naples. Following your nose, the scent of flour, wood-fired oven and tomato sauce, you’re probably going to find the best “pizza a portafoglio” ever. It happens all the times in the old part of our city, so if you’re going to visit via San Gregorio Armeno (Christmas Alley), be prepared. Over there you can still find delicious pizza used as street food, for as little as 1.50€, straight off the oven. The difference between our pizza and the one you can find in other parts of Italy lays all in the crust. A real Neapolitan pizza is soft and doughy. It has to have a beautiful, airy, 1 inch thick outer crust, full of tiny bubbles. Did you know that it takes less than 1 minute to cook it into a wood-fired oven? In Rome they do have their own version of pizza. It’s very thin and crunchy, and it’s called “pizza alla romana” or “pizza alla pala“. If you ask people in Naples they’ll scrunch up their nose: pizza? That’s not our pizza at all! I must confess I’m not a huge fan myself, but how could I be? I still remember when dad brought me to the old fish market in Naples. I was no more than a toddler and I explored this ancient part of a big city holding a pizza a portafoglio in my hands. You could buy one for just a few cents! 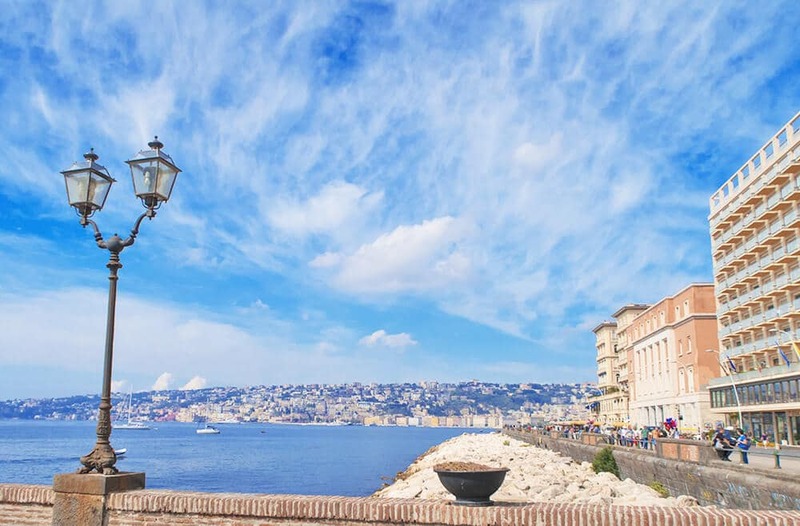 Spend a few days in Naples and you’ll understand why it can be addictive! Limoncello: If you plan a trip to the Amalfi Coast, limoncello should be on your list of things to try. Even if you’re not a drinker, this liquor made with lemon skins is absolutely delicious, because the scent of the Amalfi lemons is like no other! Make sure you are buying the traditional one (it should have Amalfi written somewhere on the label) because those sold by the big brands are too strong and they have nothing to do with “our” limoncello! Here you can find a few tips to understand where to stay on the Amalfi Coast! If you are planning to buy Limoncello among your souvenirs from Italy, make sure you read the TSA rules first to see if you can bring it back home! My list of the best Amalfi Coast tours, including limoncello factories and lemon groves should be of help! 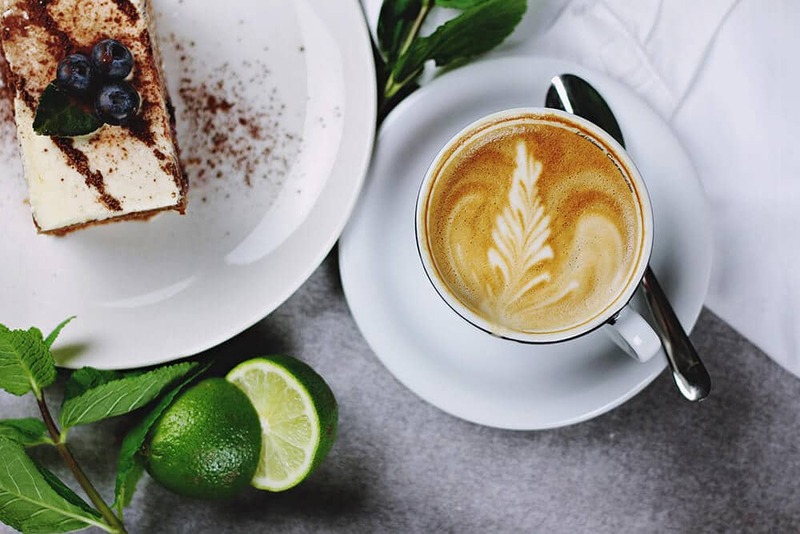 Caffè espresso: We could say that it’s another signature “dish” in Naples. The fact is that here we’re basically espresso-addicted and thus in the morning it’s better if no one talks to us unless we’ve had a cup of coffee (in Neapolitan: ‘na tazzulella e’ cafè) first! Head into a bar in Napoli, order breakfast (usually it’s a pastry and caffè or cappuccino) and start talking to the barman/barwoman. We’re very friendly here! If you’re planning to visit Rome make sure you order cacio e pepe! 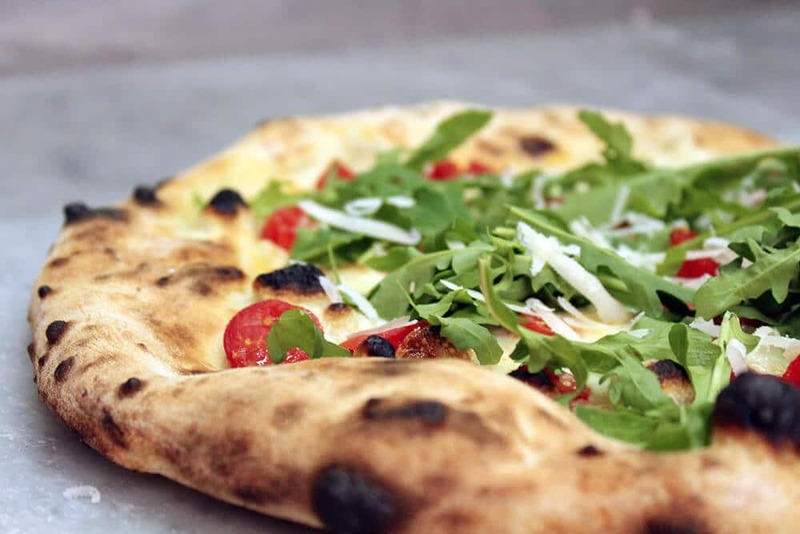 While Neapolitans and Romans might not agree on the best pizza recipe, if you are planning to visit Rome you will still find some of the most popular food in Italy. The dish I suggest you try is Spaghetti cacio e pepe. While the classic recipe uses tonnarelli pasta, nowadays it’s much more common to find spaghetti. Cacio e pepe is a creamy sauce made with pecorino Romano cheese and black pepper, grinded fresh. A few restaurants like to also add chopped walnuts on the top, but it’s definitely a more “modern” version of the traditional recipe. 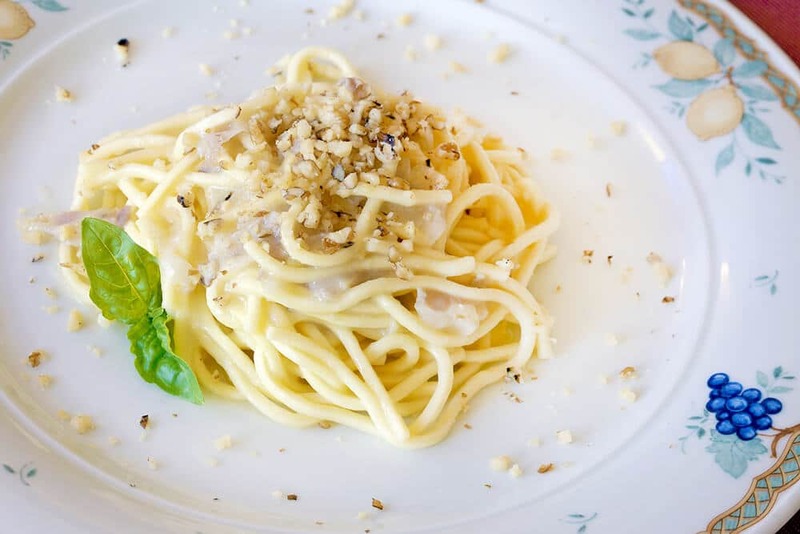 You will find cacio e pepe on every menu in Rome. The usual prices “for the locals” are never generally over 10€. The average price of tonnarelli cacio e pepe is about 8€, but of course it depends from the restaurant. If they cost more than 11-12€ , it’s a tourist trap. Fly you fools! Spaghetti alla carbonara: Aldo is a super-fan of carbonara, but he likes his own version which is with bucatini pasta. The traditional recipe (that you will find everywhere because it’s a very popular Italian food) is prepared with spaghetti or rigatoni pasta. They are served with a delicious cream sauce made with fresh eggs, crunchy bacon bits, black pepper and Pecorino cheese. My husband would probably eat carbonara every day if he could! Carciofi alla giudia: This is a vegan recipe as long as they don’t sprinkle the artichokes with cheese (it’s not in the traditional recipe anyway!). You will find Carciofi alla giudia only in Rome and you should definitely try them! The violet artichokes are washed and prepared so that they are as open as possible. Then they are deep fried, and the cook makes sure that they won’t change their shape. After they’re cold, they are once again pushed open without breaking them (they have to look like blooming flowers) and re-fried. The only other ingredient that it’s allowed is salt! 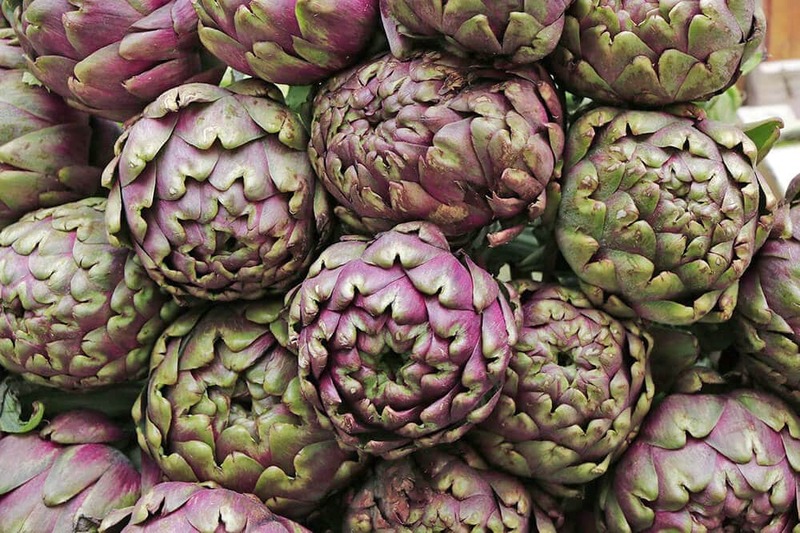 If you intend to visit Italy in spring you’ll get to eat the freshest artichokes ever! We found several nice restaurants that make delicious Carciofi alla giudia at Trastevere, find more info in our itinerary to visit Rome in 4 days. Did you know that pesto in Genova and Cinque Terre is different from the pesto we have in Naples? During our endless, romantic Italian getaways, we always try to eat the best types of food in Italy. 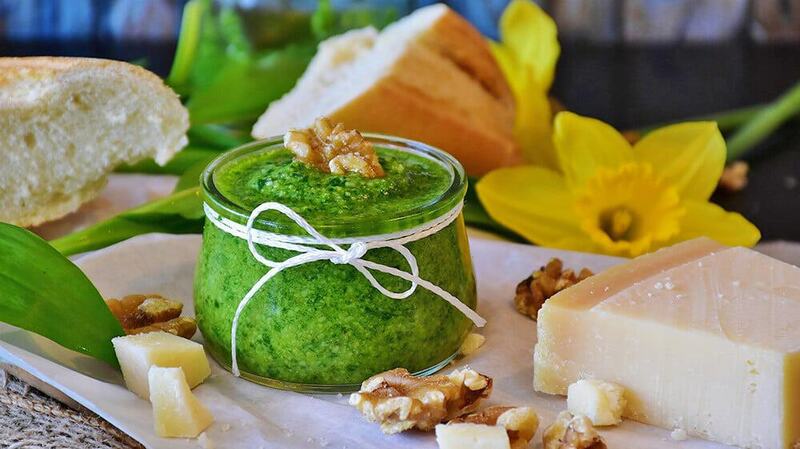 When it comes to pesto, there’s only one place you can go to: Genova. It’s even better if we can eat some delicious trofie al pesto (or linguine pasta) at Cinque Terre. Here in fact the hills are covered with basil bushes. The right one to make pesto has small leaves and a strong scent. Eating pesto really is like having a taste of Italy: it’s delicious and you should try it in its original version. Many of us in Naples (me included) prepare homemade pesto, but it’s not the traditional one because in Naples our basil has large leaves: this affects the flavour. Italian pesto genovese is only made with basil leaves, olive oil, Parmigiano Reggiano DOP, Pecorino cheese DOP, garlic and pine nuts. Pasta al pesto can be a bit more expensive at Cinque Terre because the area is very touristy and beautiful, but it shouldn’t cost more than 10-15€. 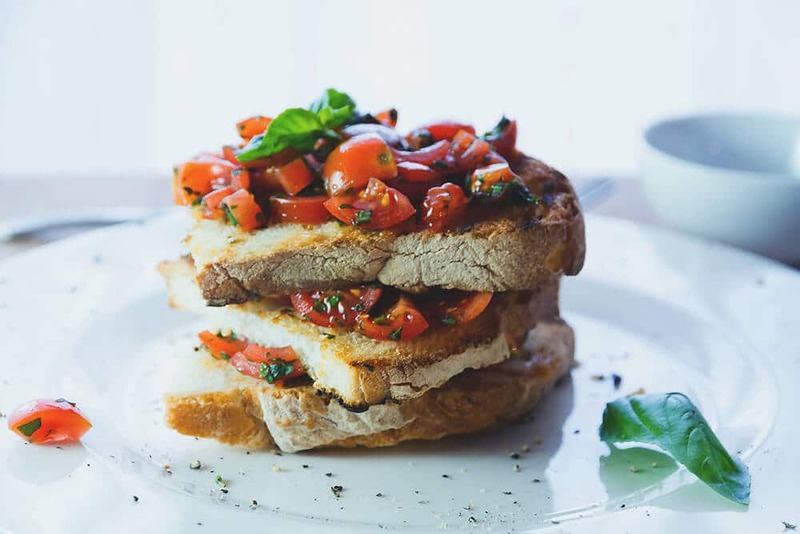 If you’re planning a trip to Italy treat yourself to an Italian breakfast! Focaccia di Recco: this traditional dish is another variation on focaccia, but it’s very thin as they don’t use yeast. You can also find a version with cheese, “Focaccia di Recco al formaggio“: if you do, absolutely buy a slice because it’s delicious! Coniglio alla ligure: This rabbit stew is particularly good and it takes quite a long time to prepare it right. It’s one of those very popular Italian foods that not many people from abroad know, so if you’re visiting and want to eat real Italian food in Italy, please make sure you try this dish. The original recipe is ancient: they cook the rabbit with olives and pine nuts for hours and hours until the meat gets very tender. Yum! 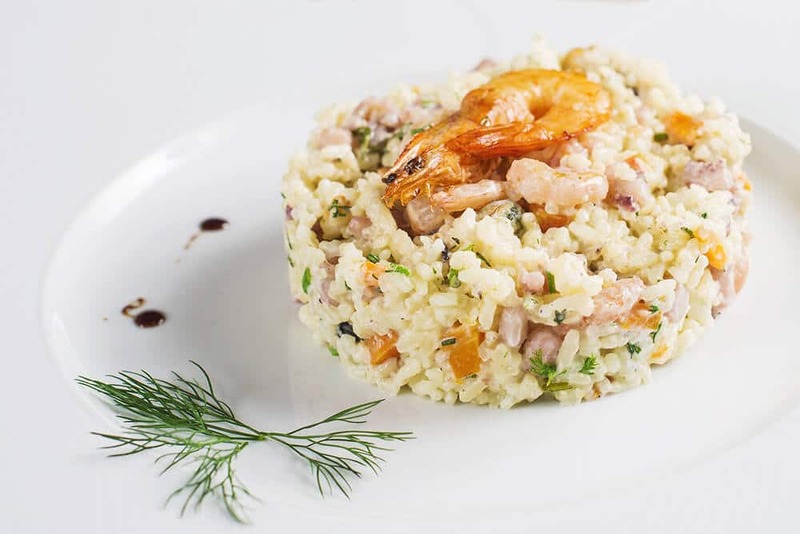 Risotto in Milan is creamy, mouth watering and… addictive! We’ve come to appreciate the risotto allo zafferano that whenever we decide to spend some time in Milan I make sure to ask a few tips at every restaurant we go to. The result is that I’ve become a great risotto-cook, at least according to friends and family. Even if our heart is in Naples, we can never say no to a great risotto alla milanese (another name for the same dish that you can find on the menu)! When you’ll be dining in Italy, remember that a good risotto always have to be very creamy. While other Countries make different kinds of risotto, here, unless it’s a “insalata di riso” (rice salad), it has to be creamy, with the sauce melting in your mouth. There’s a long technique to do that, and they’ve mastered it in Milan. Their signature risotto is (of course) the milanese, with saffron, Parmigiano Reggiano DOP, butter and a bit of onion. Cotoletta alla milanese: one of the most famous Italian dishes in the world, especially because everyone likes it, in English it’s “Veal Milanese“. It’s a veal cutlet breaded and fried in butter. The butter is poured over the cutlet and some people like to add a bit of fresh lemon on the top. Usually served with potatoes. According to where you are going to eat it in Milan, it can cost up to 27-30€. If you pay that much, make sure you’re eating at a gourmet restaurant, otherwise… it’s a scam! 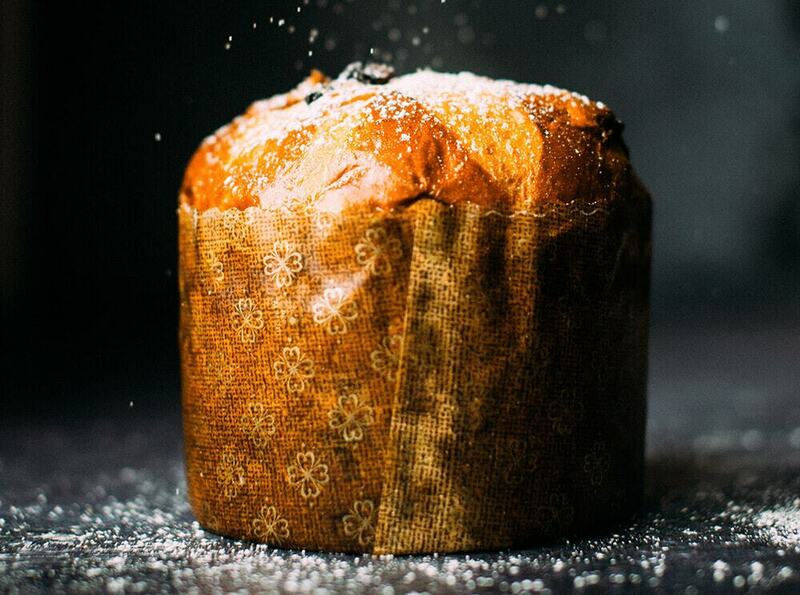 Panettone: as you know, I love Milan Christmas markets. In case you’re visiting for the festivities and are wondering what to eat in Italy that you can also bring back at home… buy a Panettone! This sweet bread-like cake is originally from Milan and it’s pretty tall (at least 15 cm). Usually it contains candied fruit, raisins and lemon zest. You can buy the industrial ones that can cost even 3-7€, or the handmade ones, which are way more expensive. Of course the latter are the best! Ossobuco con il risotto: a variation of Risotto alla milanese, this signature dish is the same risotto, served with a slow cooked osso buco (marrow bone) steak. It’s they usually cook in Winter in Milan and the whole Lombardia region. Me and Aldo used to only eat steak that had to be well done. Pink shade in the middle was already too much (I know!). Then during a trip to Florence with our friends from Tuscany, they convinced us to try the Fiorentina steak. Strangely, while this meat was basically raw in the middle… it was delicious. 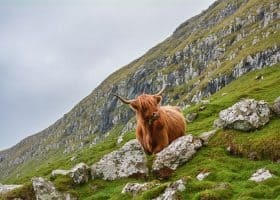 The magic lays in the cut, and in the fact that Chianina cattle only eat grass: a good bistecca alla fiorentina also has to be left hanging for 15-21 days before you can eat it. 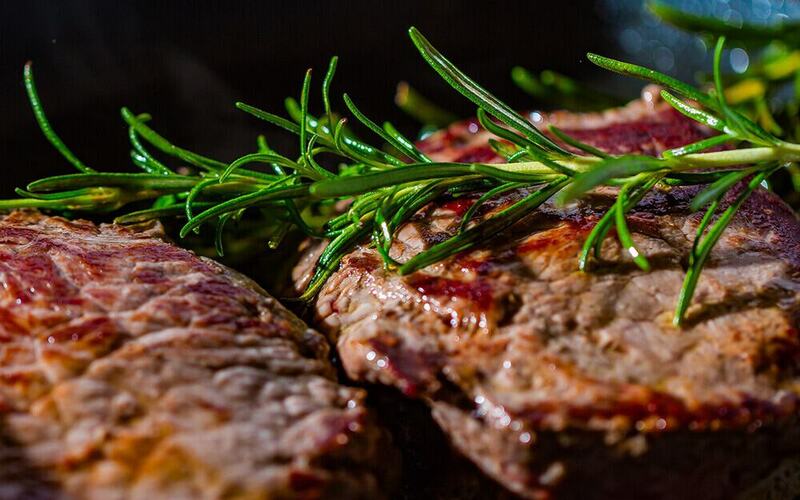 This gives a distinctive taste to the meat, and even if you don’t like your steak very rare… you will change your mind when eating one of the main Italian dishes that you won’t find anywhere else in the world. Of course, while food prices in Italy change quite a lot from region to region, in Tuscany, bistecca alla fiorentina can be particularly expensive. The meat has a price per weight so you need to ask how much you want before they bring it over. And because it’s basically a T-bone, you have to calculate also the weight of the bone itself. 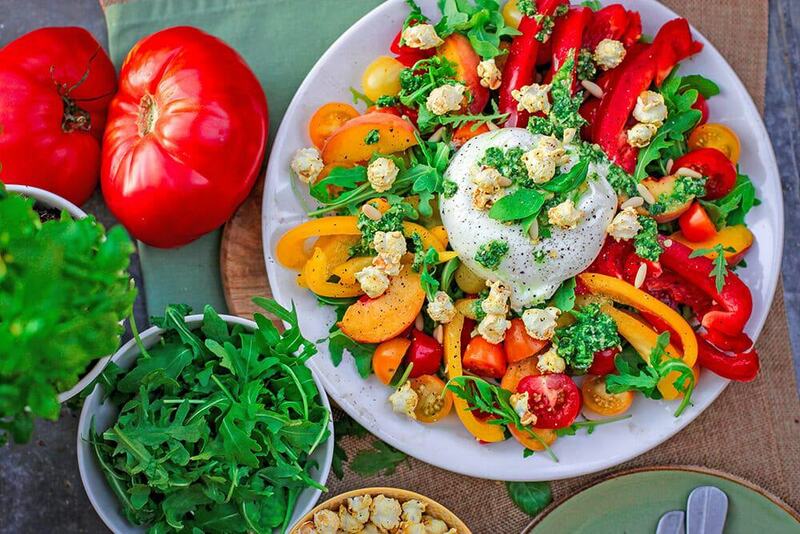 Summer in Naples means lots of salads because it’s warm. 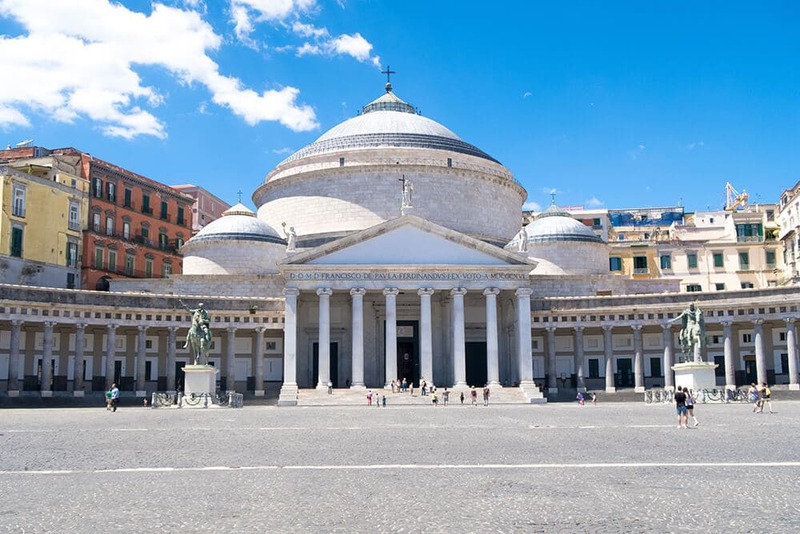 Be aware of what to pack forhttps://www.travellingdany.com/what-to-wear-in-italy-in-summer/ your summer trip to Italy! Cacciucco: This fish stew can be found both in Tuscany and Liguria, but it’s especially associated with Livorno and Viareggio. It is made with at least 5 different types of fish and shellfish and cooked in a vegetable broth. Usually the servings are pretty large and come with two huge slices of bread. It can be pretty expensive, in a range that goes from 25€ to 35€. A taste of sea, more than a taste of Italy! Every Italian food tour usually lists Bologna, which is traditionally one of the best foodie spots in Italy. Yet in this case let me suggest you also a trip to Ferrara. The signature dish over there is Ravioli alla zucca (Pumpkin ravioli). Hand-made pasta filled with sweet pumpkin, seasoned with grated Parmigiano Reggiano. 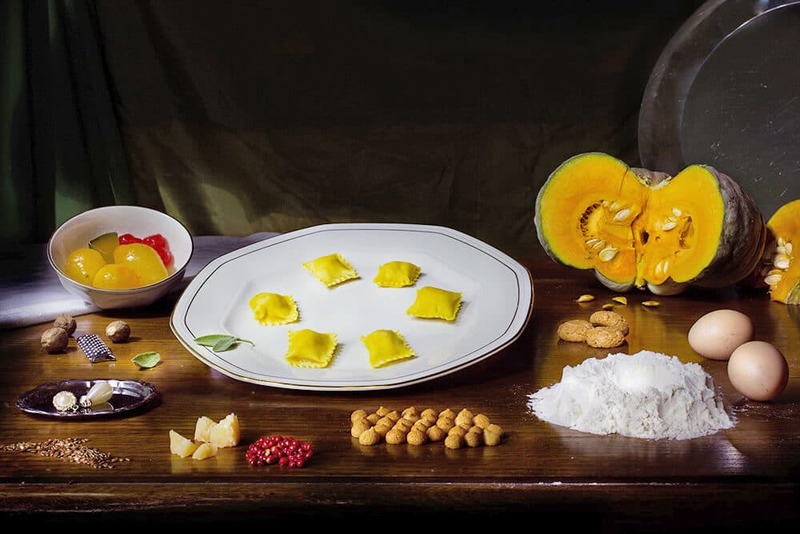 The whole Emilia Romagna region is famous because they make all kinds of filled pasta: tortelli, agnolotti, ravioli and much more. They can be filled with meat, vegetables or even fish, in some cases. The price depends on the filling and to where you eat. Usually for a dish like Ravioli alla zucca you should pay 11€ on average per serving. When in Bologna try a tray of cured meats: they are the best of the best! 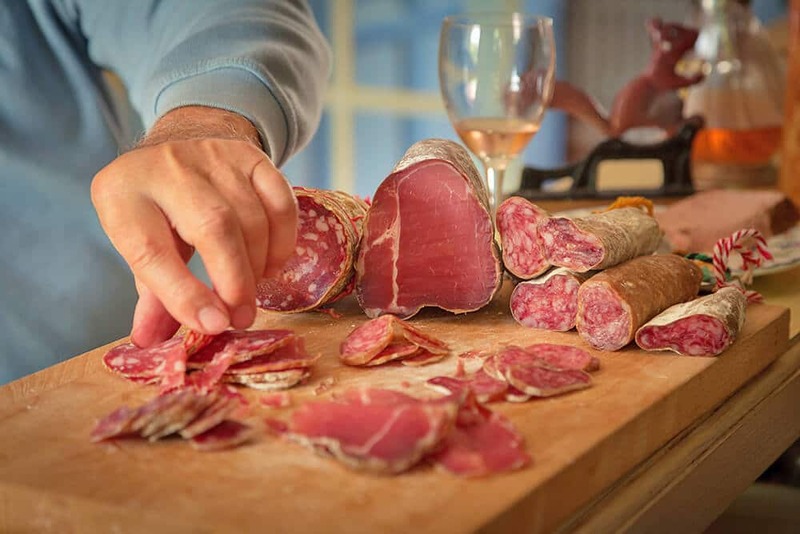 Salumi (cured meats): Emilia Romagna region has some of the best cured meats in Italy. Usually you find them on the menu as “tagliere di salumi” or a similar phrasing. It indicates a tray or a dish where they serve you several cured meats, from Italian prosciutto (ham) to salame (dried sausage), mortadella and so on. While mortadella con pistacchio (yes it really has pistachio inside!) originates in Emilia Romagna, in Rome you can also eat their delicious Focaccia romana con mortadella. It’s a slice of fluffy focaccia bread filled with fresh, scented mortadella. A delicious lunch that comes for as low as 3€. If it costs you more than 5€ go somewhere else: it’s yet another tourist trap! Leaving Italy without having tiramisù would be the crime of the century! Verona is one of the most romantic cities in Italy, because it’s the home of Romeo and Juliet. Here it’s popular also because it’s the home place of one of the most famous Italian foods: tiramisù! The original Italian recipe was born in Veneto region, and it’s made with espresso coffee, mascarpone cheese, fresh eggs, Savoiardi (lady fingers) and some cocoa powder. Nowadays you can get a good slice of Tiramisù in almost every restaurant in Italy. You can immediately notice if it’s a quality Tiramisù because the cheap version uses whipped cream instead than mascarpone cheese (which is more expensive). Now a couple of new versions are trending. Tiramisù alle fragole (strawberry Tiramisù), which is a summer treat, served pretty cold but not frozen. And at Crete Gialle in Lazio region I also had the chance to eat a delicious Tiramisù al pistacchio (Pistachio Tiramisù). I never even knew it existed and gosh. It was so good! 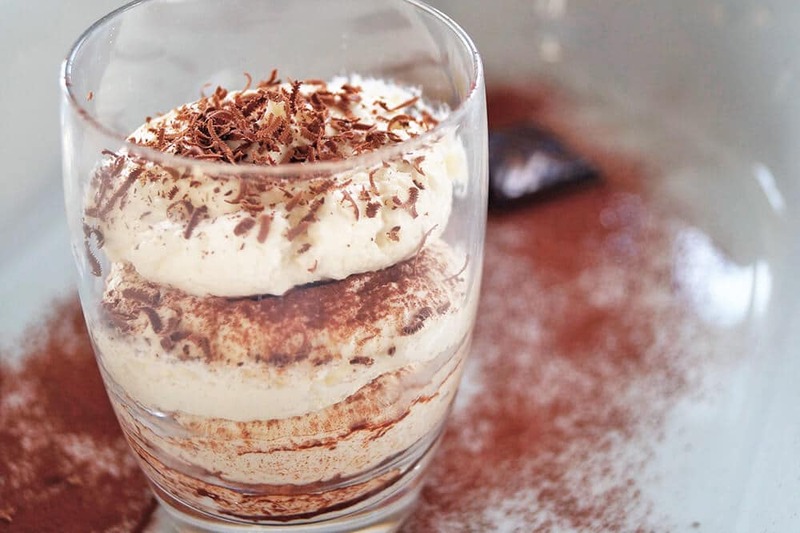 The average price for a serving of tiramisù is 4-5€ in Verona or Venice. Sarde in saòr: This is not your typical food in Italy, because you can find it only in Venice. 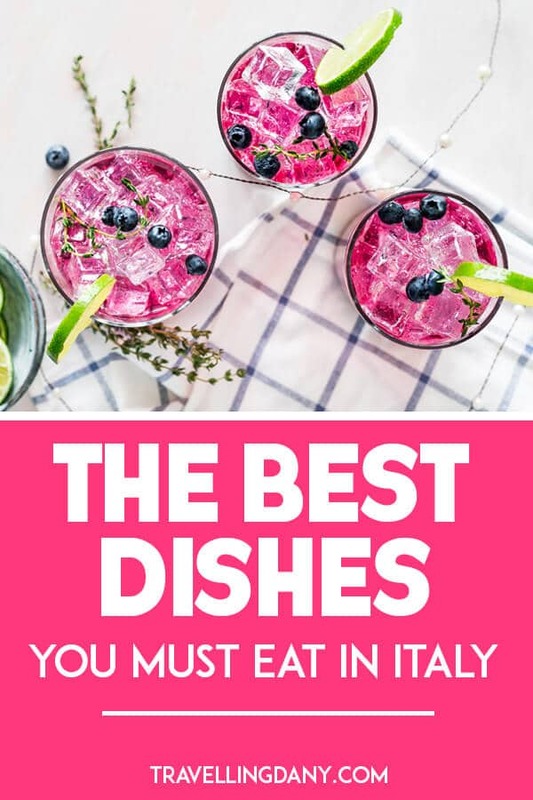 Sure, they cook this dish also in the surrounding areas, but it was born in Venice as a dish for the poor people and it’s never really been cooked extensively out of the Veneto region. It’s made with fried sardines, onions, vinegar, pine nuts and raisins. Orecchiette alle cime di rapa is a traditional food in Italy that you can eat in Puglia region. During our summer trip to Salento, we had the chance to see how orecchiette pasta is made. Grandmas in that region still make them by hand, and while apparently it might look “easy“, it’s very complicated to make that perfect hat shape. You wouldn’t believe how quick they are! The traditional way to cook with turnip greens (using only the tops, which are more tender), a bit of pepper and anchovies in oil. A dish like this in Puglia costs on 10€ average and it’s delicious. 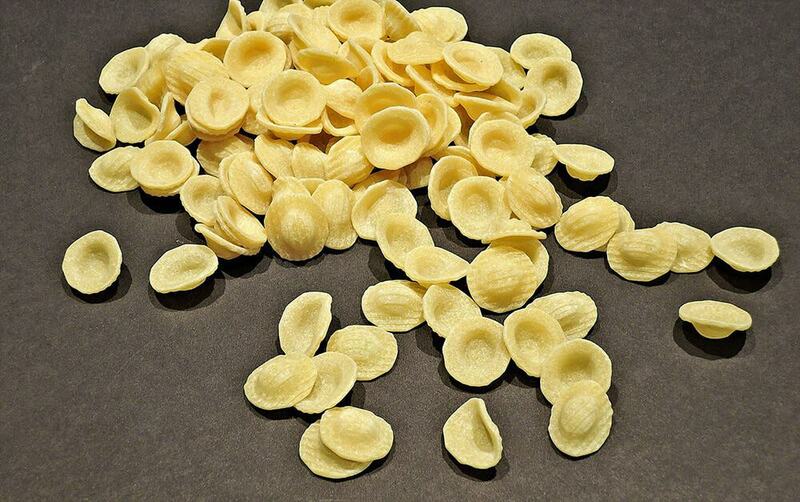 You can buy dried orecchiette as a foodie souvenir from Italy in Puglia for even 2,50€. Of course you can find them also in every food shop in our Country but they’re not as good! Bombette pugliesi: Roasted morsels of beef, usually rolled with cured meat, Pecorino cheese, goat cheese and fresh parsley. This Italian street food can be very cheap. It’s usually sold at festival on skewers. 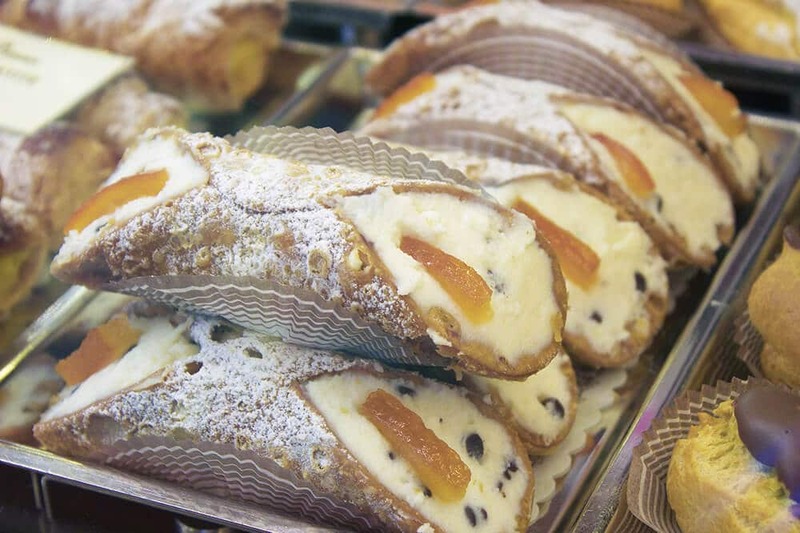 Did you know that you can buy the original Sicilian cannoli also in Naples? Cannoli are probably the most popular food in Italy, known in the whole world. While I have fond memories of family trips spent exploring the best beaches in Sicily, I didn’t have time to miss the Sicilian pastries too much. Not many know that we can get those in Napoli as well. They come with a boat every morning and are sold in two confectionery shops inside the port in Naples, at Molo Beverello. They are usually over before midday tho, because… c’mon who doesn’t love cannoli? We have Neapolitan cannoli here but they’re different from the ones you eat in Palermo. In Sicily in fact they fill the crunchy shells with sheep’s milk ricotta, a bit of cinnamon and (not always) crushed bits of dark chocolate. They are to die for! Unfortunately they spoil quite fast, as the shell get moldy, so make sure you eat them as soon as you buy them! Arancine: in Japan they have onigiri. In Sicily… we have Arancine. These rice balls are huge and delicious. They can be made of white rice, filled with meat, breaded and deep fried, or have rice with sauce and green peas. Also the tomato version is breaded and deep fried. It’s a delicious street food that in Sicily is cheap but delicious. In case you’re planning to visit, make sure you buy some! Cassata siciliana: This is yet another delicious cake that comes from Sicily (we also get those at Molo Beverello in Naples, people love them even more than cannoli!). This iconic pastry is an elaborate dessert made with pan di Spagna (sponge cake), sweet ricotta cheese, marzipan and candied fruits. It’s yet another one of those Sicilian cakes that you have to eat within a day. Fun fact: whenever we go to Sicily and we take a boat back to Napoli, family and friends don’t ask us for souvenirs. They want us to buy cassata! Do you love your spicy food? 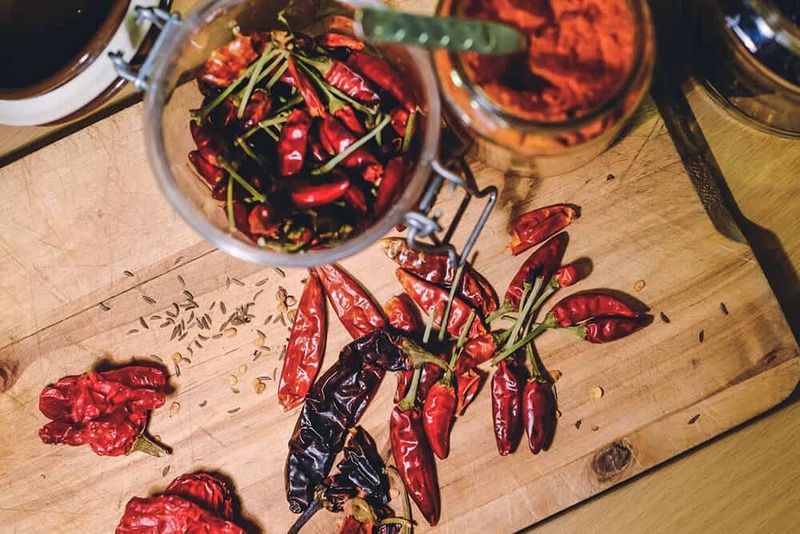 Visit Calabria region: they have the spiciest recipes in Italy! Calabria is a region where… a taste of Italy literally means that you’ll feel like eating lava. Why? Because people in Calabria absolutely love their food spicy. And I mean… really spicy! The peperoncino calabrese (spicy red pepper from Calabria) is basically my mortal enemy: I’m absolutely unable to eat it. But our best friend and my husband absolutely love it. When we go to Calabria we always make sure to buy ‘Nduja. It’s a particularly spicy, spreadable pork sausage that is made and sold in Calabria. They add it to ragu sauce, put it on pizza, but the brave ones can also eat it on a thin slice of bread. Did I mention that you’ll feel fire burning in your mouth? Let me know if you’re brave enough to try it! 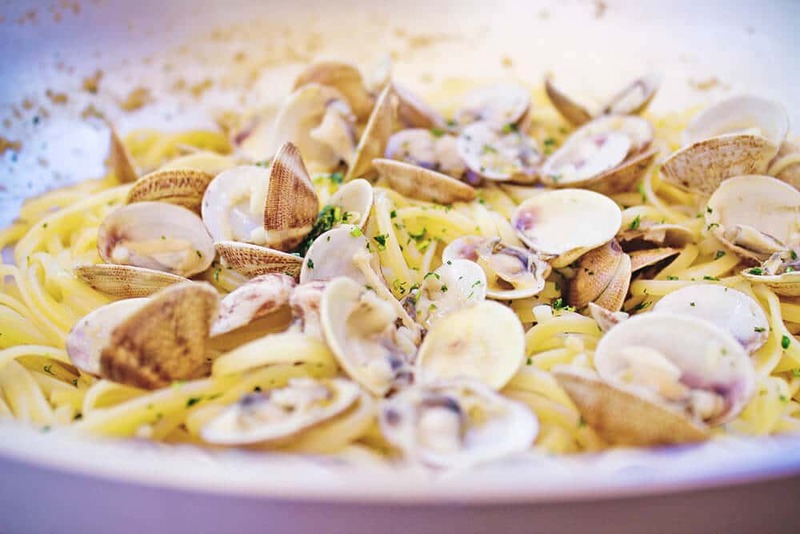 Cipolle e patate: All the famous chefs here state that one of the best ingredients for many Italian dishes is cipolla di Tropea. These red onions are cultivated in Calabria region and are sweet and delicious. Usually added to salads, they are often used as side dishes, mainly stir fried with slices of yellow potatoes. Gelato is every foodie’s dream: in Sicily you can eat it inside a warm brioche! 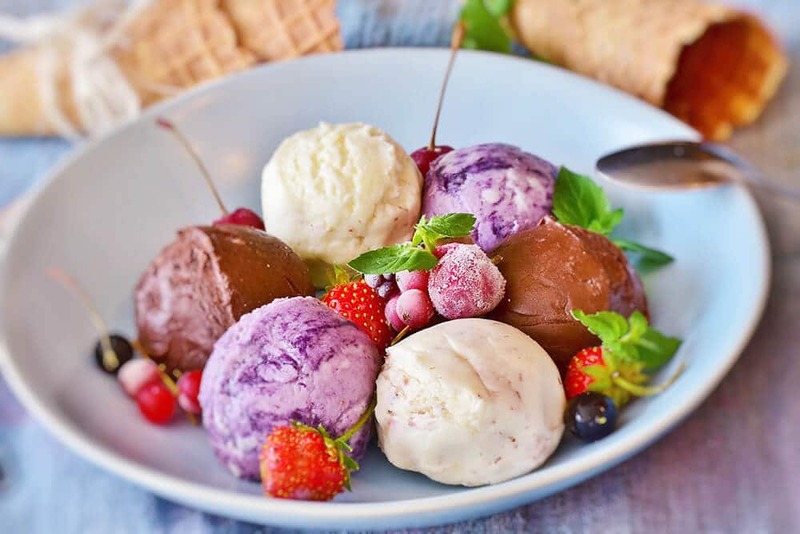 Our Italian food tour couldn’t end without adding gelato to our list of iconic foods. Italian gelato is different from the soft serve ice cream that you can buy everywhere else in the world. It’s in fact made with a base of milk and sugar, and it’s generally lower in fat than other styles of ice cream. So yes, this means that when you visit Italy you won’t have to feel guilty about eating tons of gelato! You will find gelato everywhere you go in Italy. Make sure you prefer the artisanal ice cream, maybe topped with whipped cream. Did you know that in Italy you can buy gelato in a cup, on a cone, or even in a sweet brioche? This last option is very popular here in the South, and especially in Sicily. In case you don’t feel like having breakfast with an espresso slushie, you can treat yourself to a brioche con gelato: no one will ever know about your sin! Read my guide to Christmas and winter dishes if you’re visiting Italy in winter!